Easy to stick-on, fun and safe to use! Makes a great party favor at your next birthday party or event! Comes with 8 assorted bags per bundle! 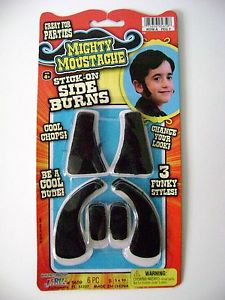 Side Burns come in 3 funky styles! Soul Patches come in 8 cool styles!